Did you feel it? The warmth, the light, the strength, THE SUN! Oh, how I've missed the sun. There has been so much rain! And snow! And more rain. What have you been up to all winter? In the cold, wet, weather? Last year, in the middle of the summer, I took the plunge and bought season passes to Mt. 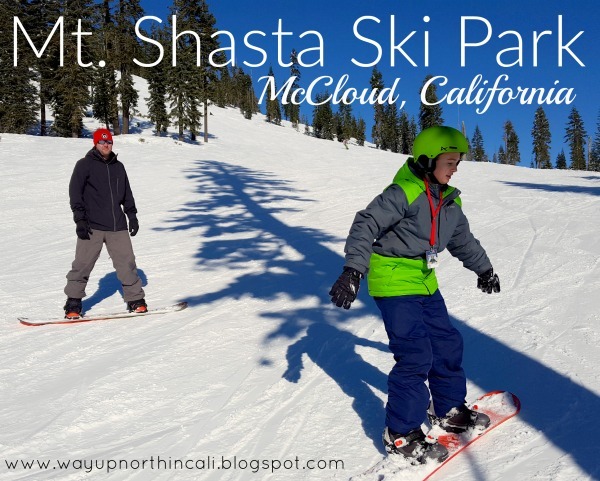 Shasta Ski Park. I was nervous. The last few years have been less than stellar at Mt. 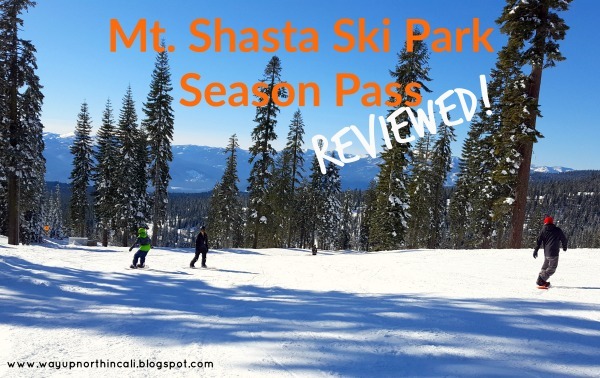 Shasta Ski Park. Of course it's not their fault that Mother Nature hasn't brought much snow to the north state the last few years, but what if it happened again? What if we couldn't use our passes that I just spent a small fortune on? But a part of me had hope and a little faith that the drought would have to come to an end. And well...you know what happened this winter...let's just say...the drought is over. Phew. But, was it worth it? ALL THAT MONEY spent on ski passes? Well that's an interesting question isn't it. We all place value on money, time and experiences differently. If I lived in Mt. Shasta City, I would say, hands down, absolutely worth it. And I would buy passes every year. But, I don't live in Mt. Shasta. I live in Redding. So let's break it down. Cost, experience, time, weather, amenities, all have to be factored into value and worth. I bought my passes in July. If bought by July 31, the rate is A LOT less. Starting August 1, the prices increased significantly. TOTAL COST: $546 for my family of 4 to ski as many times as we want for the winter. (For those of you counting, Q no longer joins us on the mountain...so no pass for him.) Did we use it enough to break even or make up the cost of passes over just buying single day lift tickets each time we go? To break even with cost alone, an Adult would need to go 6 times, Junior 3 times, and Pup 4 times. That's not taking into account price differences for weekday, half day or night skiing. The Junior and Pup tickets are absolutely worth it. Three or four times up to the mountain is definitely do-able. But realistically, can an adult from Redding (more specifically a busy mom who works and raises a family...me!) get up to the ski park 6 or 7 times? With cost calculated, we understand that WORTH isn't valued at cost alone. Our family has some other non-monetary factors we considered. First, we have family that live in Mt. Shasta City that could come skiing with us when our schedules allowed. The value of cousins bonding in friendship is invaluable. 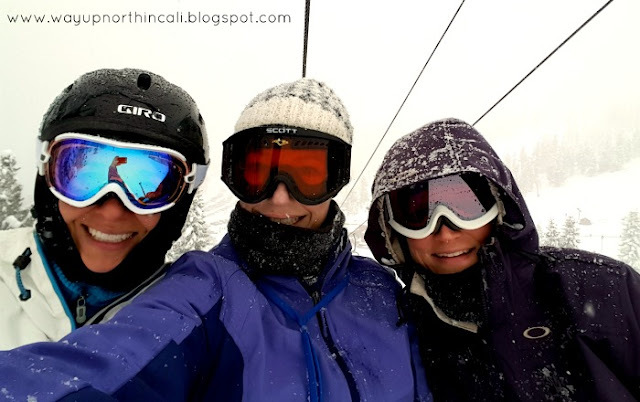 Plus, my sister in law happens to be my best friend (check out THIS post of us skiing without kids). Third, we took into the account having a season to focus on developing our talents. I believe skiing is a life-long sport. It is something my children can do their whole lives. It's kind of like riding a bike. Once you know how, you never forget. Having a season pass mentally gave me the permission to go skiing more often to practice. Fourth, having a season pass gave me the freedom of not having to purchase a specific type of ticket each time I went. If I wanted to ski only a few hours, I didn't have to wait until 12:00 to buy a half day ticket. I could ski from 10am-2pm and not worry about "wasting" the cost of a full day ticket. Same with night skiing, if we wanted to ski until 5pm on Saturday instead of 4pm, the season pass gave us the flexibility of not having to purchase "time" we didn't need. So...now that we are nearing the end of ski season, what did we decide? Was it worth it to buy season passes for my family? Two of my favorite ladies. 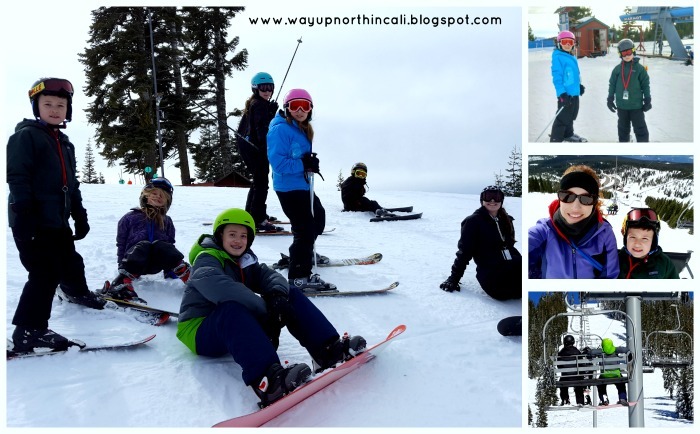 A ski day without kids!